At ISTP, we strive to prepare our students for the evolving 21st century work world. This preparation is not something that you start in high school. In fact, the earlier you prepare your child, the better. One of the ways we do that is to impart a life-long love of learning. I believe that learning should be dynamic, rigorous, and engaging. 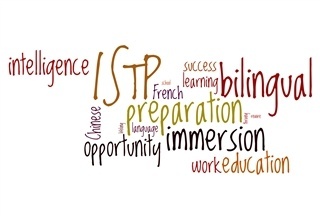 As an added benefit, ISTP provides a bilingual immersion education, which stimulates the brain in ways that will impact our students for the rest of their lives. Last year, I read “Brain Rules: 12 Principles for Surviving and Thriving at Work, Home, and School” by John Medina. Although we have known the importance of cognitive growth and have been able to explain at what ages different things occur developmentally, it is only in recent years that there has been significant research that has helped us better understand how the brain really works. We know that as we have evolved as people and have needed different abilities, our brain has developed accordingly. As I think about Medina and his work, I realize that what the author is saying reinforces our own mission here at ISTP. As we strive for educational excellence, we must teach our students in ways that will help them to develop and use their brains to maximum effect. Our students need to think, not only critically, but also creatively. We do all of this, so that when the opportunity arises, our students are more than prepared to take advantage of it.